Absolutely! All the people in the world show some behaviours which are good for the workplace and some aren’t so good. We know, everyone is watched by the peers, subordinates, bosses, customers, vendors and so on. Hence, a leader needs to behave right. This is the ideal state; so, what’s new? 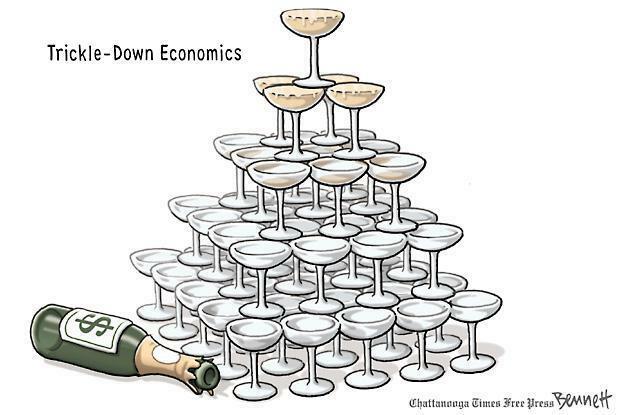 Recent research shows that the behaviours of the boss trickle down over a period of time. Hence, they get embedded deeply in the organization and eventually become the ‘way of being’ in the organization. Given this background, let’s think what a leader can do to ensure that the organization stays fit-for-the-purpose notwithstanding the shortcomings of the leadership and at the same time, how the strengths can be strengthened further. Firstly, the leadership needs to acknowledge the fact that they are not perfect and hence, they might be going awry at times. It is important to introspect and self-critique; invite stakeholders to reflect upon the actions taken and the behaviours noticed by the others. In this process, the values and beliefs of the leadership team get realigned, reinstated and adjusted for changes that might have taken place in the organizational environment. This is a critical organization-building activity that leaders must do to ensure that the right behaviours are equally understood and consciously practised. Secondly, it is important to celebrate the successes, the reinforcements and the right behaviours that flow through the organization. Southwest Airlines had all its staff know one thing as their priority. That was to put the plane in the sky. Each and every employee in the company across all departments knew this. Right from the cleaning staff, baggage handling, technical staff to ticketing, check-in and security staff had to be agile, communicative and efficient to make sure that their plane was flying in the sky. Similar was Starbucks when all of them knew what the Third Place represented and how they could deliver that experience to their customers in each and every store in the world. And many such examples can be cited to illustrate the fact that large organizations are capable of reinforcing the right behaviours in a consistent manner. This task of culture-building calls for tremendous amount of two-way communication, building a culture of learning in the organization and recognition of the heroes who consistently demonstrated the right behaviours to produce the desired impact. The leadership needs to invest its energies in defining the right behaviours, consistently showcasing them and celebrating them. Last but not the least, the leaders need to develop an action agenda as a result of all feedback studies, off-sites and various such events that they hold; and of course, pursue them relentlessly. It is relatively easy to organize a leadership jamboree, be done with the conversations and get back to business as usual in a matter of few days. Of course, there are times when leaders make it a point to develop an action agenda and publish them. Many a times, the agenda is so long that nobody has the energy to follow them through and they are easy to forget. And at times, the action agenda is either very vague or too narrow. These help the contributor of the action item rather than the organization. So, the leader has to be hands-on in taking notes and developing the agenda that he or she needs to pursue for the organization. Look within. Celebrate success. Execute the action agenda!